Chris Satchell has come a long way since he first programmed an Atari as a child. How the CTO and executive VP of R&D at IGT turned his childhood passion into a distinctive career. 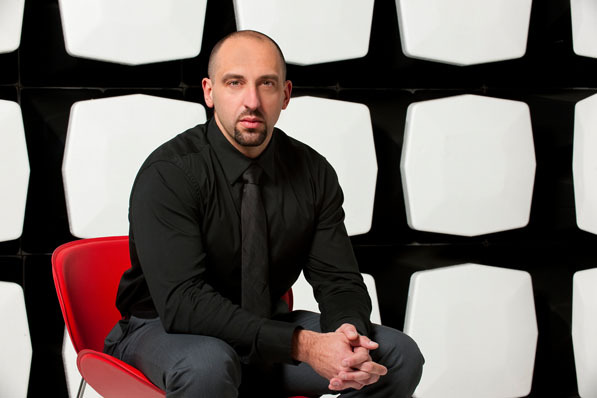 Chris Satchell credits his successful career to an upbringing full of design and coding for fun. “This ... led to a degree in computer science, post-graduate research into distributed artificial intelligence, and then a career in video games, culminating in being the CTO [chief technology officer] for Xbox 360 at Microsoft,” says Satchell, now CTO of International Game Technology. When Chris Satchell was seven years old, he received his first Atari 800 and taught himself how to program it. From there, he knew he liked writing games as much as playing them. Now, Satchell is the chief technology officer and executive vice president of research and development for Reno, Nevada-based International Game Technology (IGT). Here, the self-appointed “geek” shares with Profile how he came to work for IGT and what it takes to be successful in the casino-gaming industry. Throughout high school I used to get up early to get several hours of programming in before school started. Then I would rush home and through my homework to do more design and coding in the evenings. This eventually led to a degree in computer science, post-graduate research into distributed artificial intelligence, and then a career in video games, culminating in being the CTO for Xbox 360 at Microsoft. Basically, I am a lifelong geek. Then in 2009, I left Microsoft to fill a newly created position as CTO for IGT. Now, as the worldwide leader in providing products for wager-based gaming and entertainment, IGT is the largest supplier of slot machines and slot content to the global-casino industry, a leader in online-casino content, and the leader in casino systems. We are considered by our customers to have the best portfolio of game titles in every category, which is reflected in our industry-leading floor share, which is the percentage of the casino floor that comprise our products. At IGT we tend to be in the vanguard of technology innovation in hardware, software, and services. We will often partner with other technology companies to create patented technical advances. We use technology as a tool to provide better experiences for our customers, which means we innovate often at the edge of vendor road maps. Our company has seen an accelerating shift from being a manufacturing company at its core to being a technology-driven entertainment provider. As CTO, one of the changes I made at IGT is to utilize third-party technologies more in our solutions, so we can save our internal developer for higher-value differentiated work. This shift is becoming more evident in the increased quality and performance of our products. For instance, some of the key trends in gaming technology include: Rapid increases in the quality, complexity, and depth of games; Transforming the connection of games and systems in a casino into a unified-systems platform, allowing new functionality and productivity to be derived from the operators’ historical investments; New types of interactivity and experiential elements added to games—everything from multitouch displays, to light guns, to articulated sound chairs, to multilayer or curved displays; Connection and integration of online and mobile devices, both for the player experience and for casino management—this allows operators to touch their customer outside of the core on-property experience and engage with the patron across all media; And utilizing cloud-based services to deploy casino systems and deliver value-rich content to the player. In addition to our ability to innovate, our scale, our global ubiquity and scope, the quality of our offerings allows us to stand out among other companies in the industry. We are the only gaming vendor that has a full suite of products to address all types of electronic gaming, such as slots and tables. In terms of scale we are bigger than our two nearest competitors combined in annual revenue and almost double their combined market cap. Unlike our competitors we operate on a truly global basis and have active business in every legalized gaming jurisdiction around the world. In order to be a successful leader in this industry, I think the core qualities are honesty, integrity, passion, intelligence, courage, and willingness to put the company and its customers first. The whole executive team shares those same goals, including a will to provide unrivaled growth and value for shareholders. At our recent analyst event in New York City, we committed to growing the company to $2.5 billion in annual revenue. To achieve this, we intend to continue leading and transforming the gaming world by creating the most innovative, ubiquitous, and disruptive gaming experiences and solutions anywhere and everywhere.